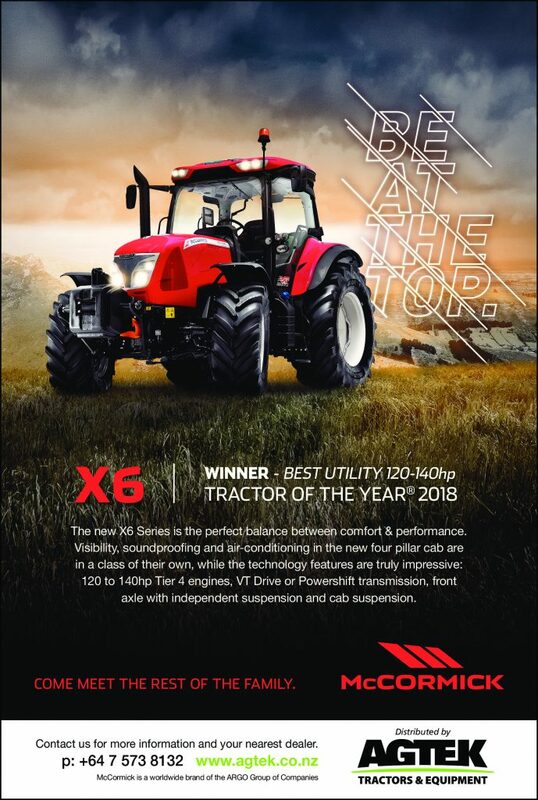 The McCormick X6 VT-DRIVE was awarded a prestigious Tractor of The Year award in the ‘Best Utility’ category at Agritechnica in November. For the purpose of the awards, the utility range covers tractors with power ratings from 120hp to 140hp. VT-Drive is a continuously variable transmission that is notable for its low number of components, particularly in the clutch assemblies. This brings important benefits for operating efficiency and cost. The technology that makes up the VT-Drive is entirely engineered and manufactured in Argo Tractors’ production facilities. This includes all the software that drives the transmission. The transmission included a hydrostatic section and a mechanical section. At low speeds – up to 3-4 kph – it functions as a solely hydrostatic transmission while at higher speeds the hydrostatic assembly progressively combines with the mechanical assembly to minimise power loss. Other important features on the McCormick X6 range are the front axel with independent suspension, the 110 litre/min hydraulic circuit and terminal with ISOBUS functions. All winners of the Tractor of the Year awards are selected by a jury of 24 journalists from major European agricultural machinery magazines. In September, the jury members visited the Argo Tractors factory, where the machine was presented in detail. Six McCormick X6 VT-Drive tractors were available for journalists to drive in practical trials using six different implements. Argo Tractors Group marketing manager Antonio Salvaterra says the award is an important recognition of the work McCormick has done in its endeavour to develop new technologies. “We are very pleased to have received this important recognition”, he says. “This award confirms the success of the investments Argo Tractors has made in the utility tractor segment. Antonio says the new McCormick X6 VT-Drive is a powerful modern and reliable machine that is at the premium end of the stepless tractor market. Argo Tractors has its headquarters in Fabbrico, Italy. It manufactures tractors under the Landini, McCormick and Valpadana brands and belongs to the Argo Industrial Group. Over the past 15 years Argo Tractors has triple its production volumes, and the group turnover now amounts to 500 million euros. The enterprise has five manufacturing plants and 1,650 employees. It has 130 overseas importers and 2,500 dealers worldwide.